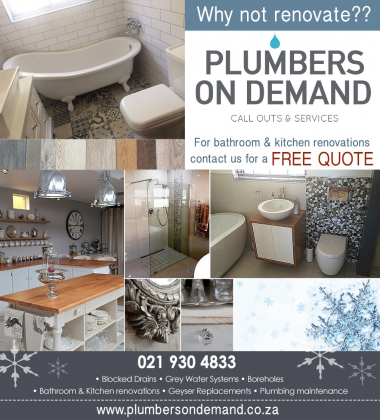 Plumbers on Demand Plumbing - For all your plumbing needs. from normal maintenance to fully designed sewerage to potable water treatment plants. For professional plumbing services with reasonable prices contact us. We have several teams who work right accross the Western Cape. mobEATS Food Truck Events is here! ANY EVENT. ANYWHERE. ANYTIME.